Shows the precise charge level of a battery in amp-hours. Calculation by measuring charging and discharge currents. 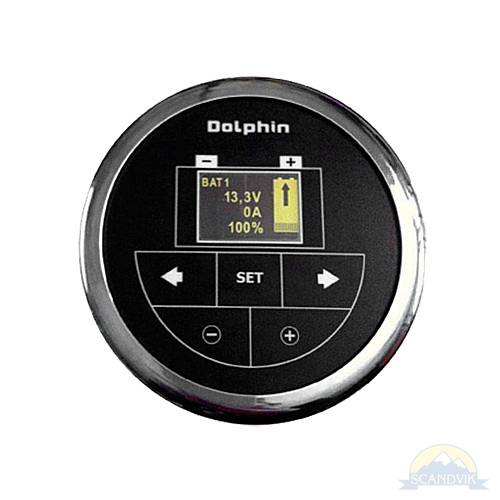 The batview automatically detects floating mode in a 12 or 24 volt battery’s charging cycle. Easy to install: semi-flush mounting, circular cut-out, connections via robust screw terminals.